MONDAY, Feb. 20, 2017 (HealthDay News) -- A child's risk of a potentially fatal drug overdose more than doubles if a parent brings home a prescription opioid painkiller like oxycodone, codeine or morphine, a new study reports. When their mother is prescribed an opioid for pain as opposed to a non-narcotic drug like aspirin, ibuprofen or acetaminophen, young children are about two-and-a-half times more likely to accidentally overdose, the researchers found. "The opioid epidemic has not skipped children," said Dr. Yaron Finkelstein, a pediatric emergency doctor with the Hospital for Sick Children in Toronto. "They are also vulnerable to it, even as a third party or innocent bystander." Finkelstein is lead researcher on the study, published online Feb. 20 in Pediatrics. Another study in the journal helps explain the source of some of this risk. Nearly 70 percent of prescription opioids in homes with children are not stored safely, Johns Hopkins researchers reported in that paper. Parents appear to understand that children are more vulnerable to overdose than adults, but aren't taking steps to prevent it in their homes, said lead researcher Eileen McDonald. "People can appreciate there is a problem out there, but we all have these self-protective factors that say, 'It's not going to happen to me,' " said McDonald. She's an associate scientist at Hopkins' Bloomberg School of Public Health in Baltimore. Over the past two decades, powerful narcotic painkillers have been prescribed at increasing rates for pain, leading to the worst overdose epidemic in history, according to the U.S. Centers of Disease Control and Prevention. In Finkelstein's study, he and his colleagues evaluated child overdose cases in Ontario, Canada, between 2002 and 2015. They also examined prescription records showing which mothers had been sent home with either an opioid or a nonsteroidal anti-inflammatory drug (NSAID) pain reliever. The researchers focused on kids aged 10 and younger, since teenagers might have deliberately used a parent's prescription to get high, Finkelstein said. Kids were 2.4 times more likely to suffer an opioid overdose after their mother received a prescription opioid, compared with children of women prescribed an NSAID like ibuprofen (Advil) or acetaminophen (Tylenol), the investigators found. Half of the children treated for overdose were younger than 2 years old. 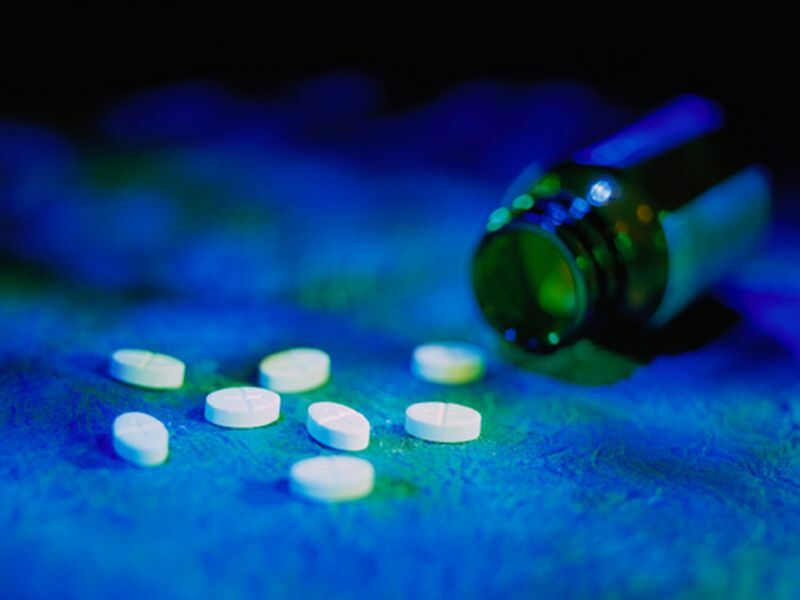 The opioids most commonly involved were: codeine (54 percent); oxycodone, brand-name OxyContin (32 percent); and methadone (15.5 percent), the researchers reported. "Some of those opioids are so potent that one tablet can kill a toddler," Finkelstein said. "If a toddler takes two Advil, he may feel unwell, but it's not the same as taking methadone or codeine." In the other study, McDonald and her colleagues surveyed almost 700 U.S. adults who used opioid painkillers in the past year and had children aged 17 or younger living with them. The researchers asked parents how they prevented kids from accessing the drugs. For kids younger than 7, safe storage involves putting the medicine in anything locked or latched so they can't open it. For kids 7 to 17, the drugs need to be put away under lock and key, McDonald said. Across both age groups, just 29 percent of parents reported they were safely storing opioids. About 32 percent of parents with very young children reported storing the drugs properly, compared to 12 percent of parents with older children or teens. A set of survey questions shed some light on this lack of safety, McDonald said. Parents widely acknowledged that opioids are dangerous for children, with 72 percent agreeing that kids overdose more easily than adults. Nearly three out of five agreed even a small amount can kill a child. But this danger does not translate into worry or action. Only 13 percent of parents said they worry about their kids gaining access to their prescription opioids. "People understand the lethality of opioids, but they haven't been educated enough or we haven't made the protective behavior easy or convenient enough," McDonald said. It's rare, she added, to find dangerous items under lock and key, whether they're guns, cleaning supplies or medications. Parents need to be taught medication safety in the home, agreed another expert. "All medications in the home should be considered dangerous to young children if accidentally ingested, and all should be kept up high, out of reach, in their original, child-proof containers," said Dr. Michael Grosso. He's a pediatrician and chief medical officer for Northwell Health's Huntington Hospital in Huntington, N.Y.
"Unused medications should be promptly and safely discarded," Grosso added. "If an accidental ingestion of any medication occurs, immediate contact with a health professional is mandatory to determine the best, safest course of action."